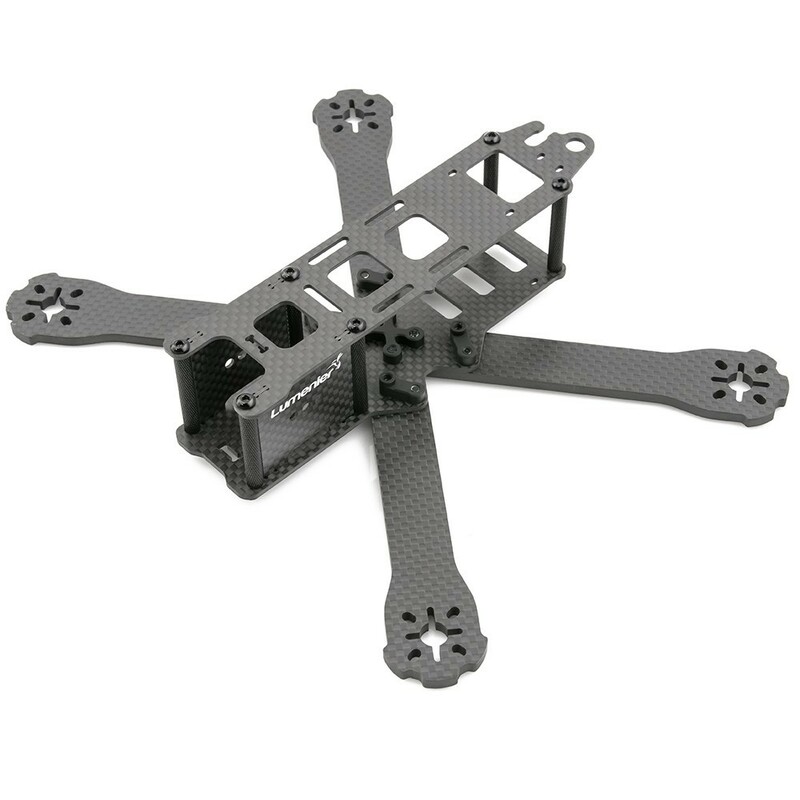 The Lumenier QAV-R FPV racing quadcopter 4" airframe kit is a finely tuned airframe designed for high performance FPV Drone Racing pilots. 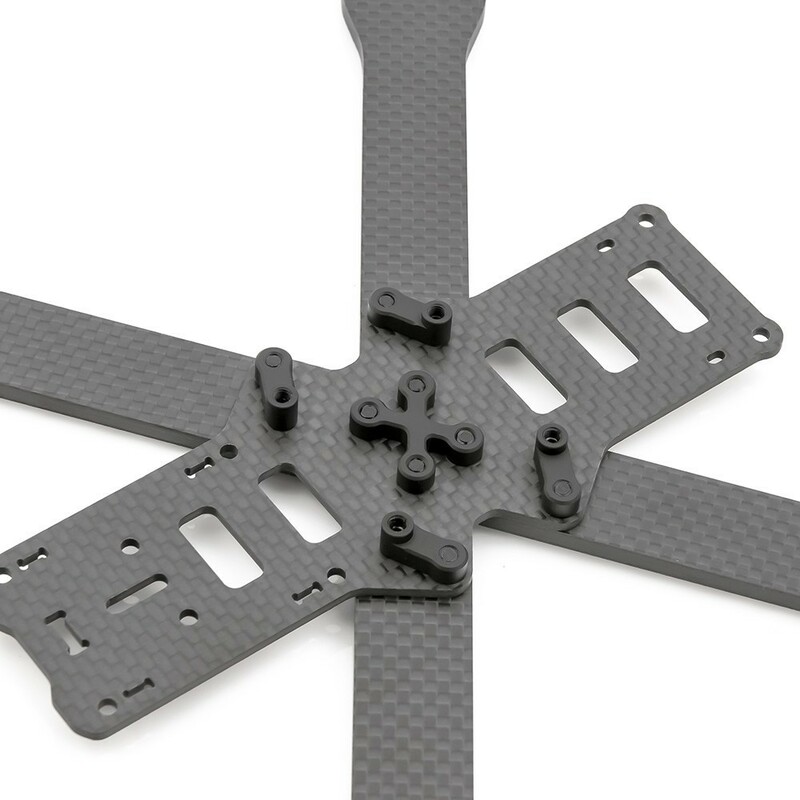 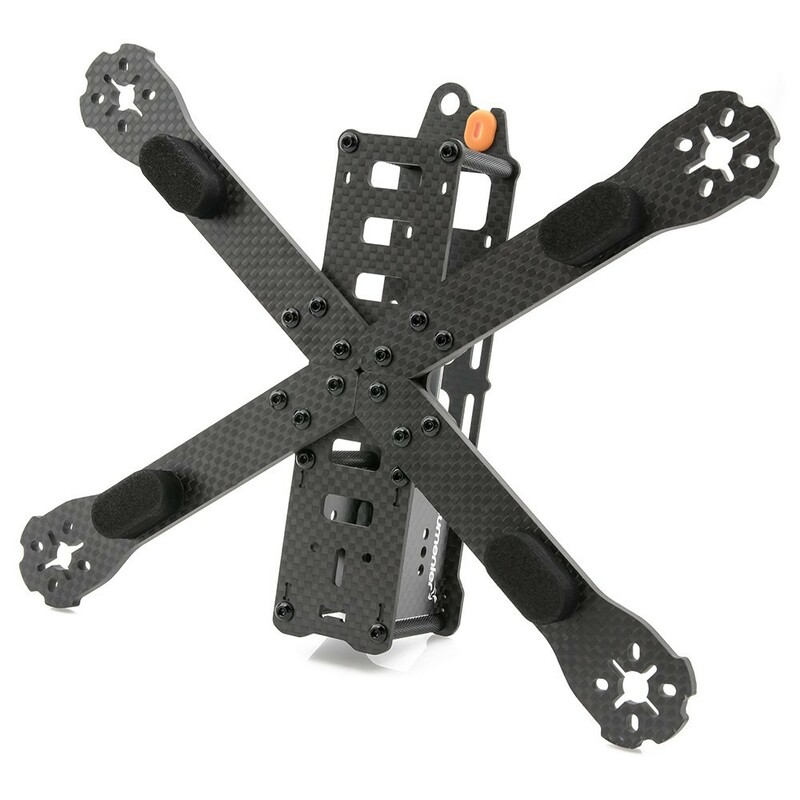 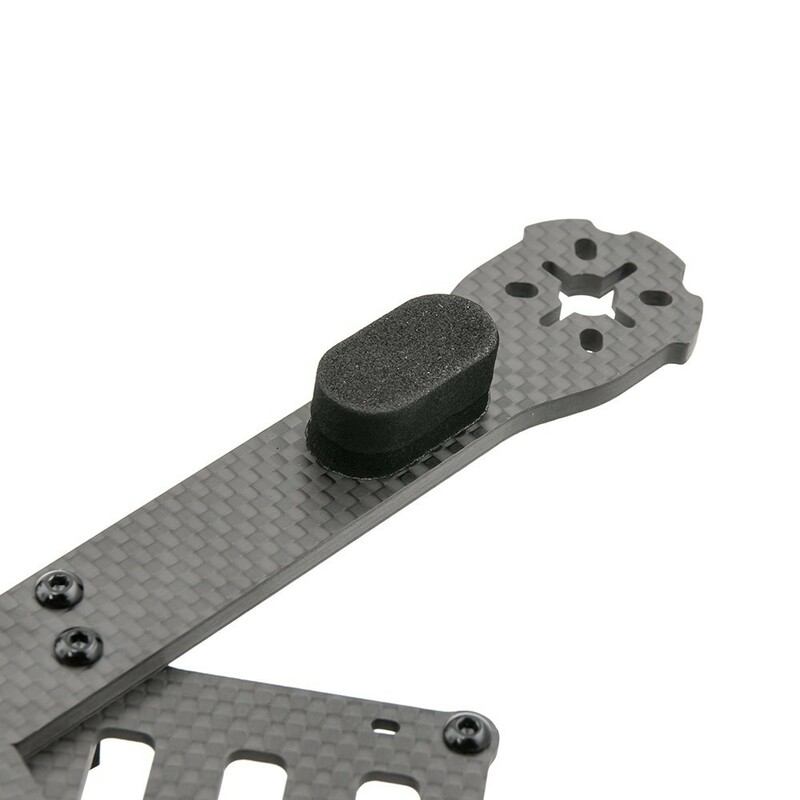 The carbon fiber airframe is lightweight and very stiff for the most precise and fastest posible flights. 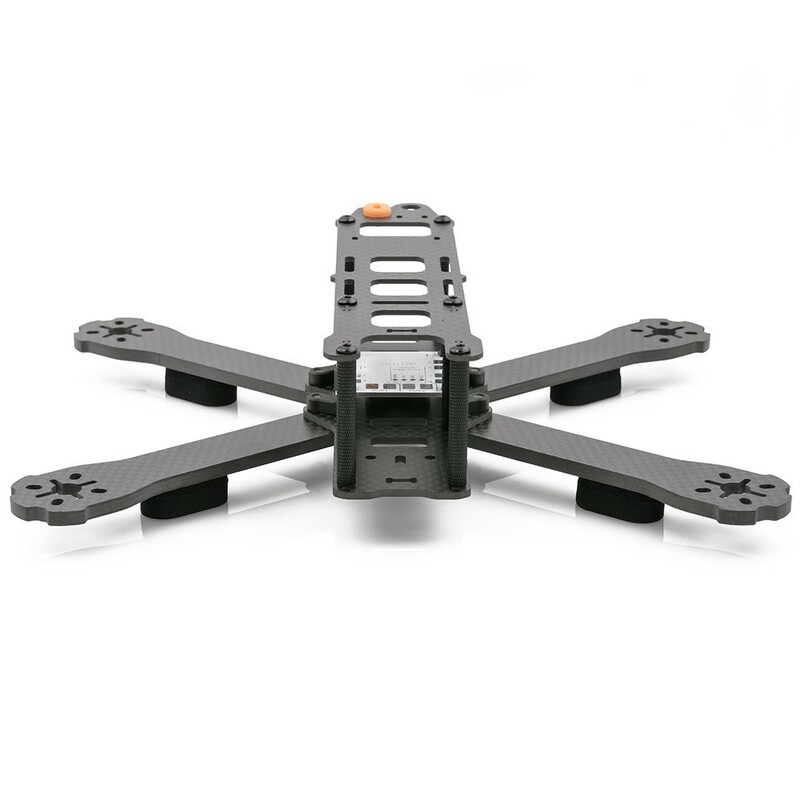 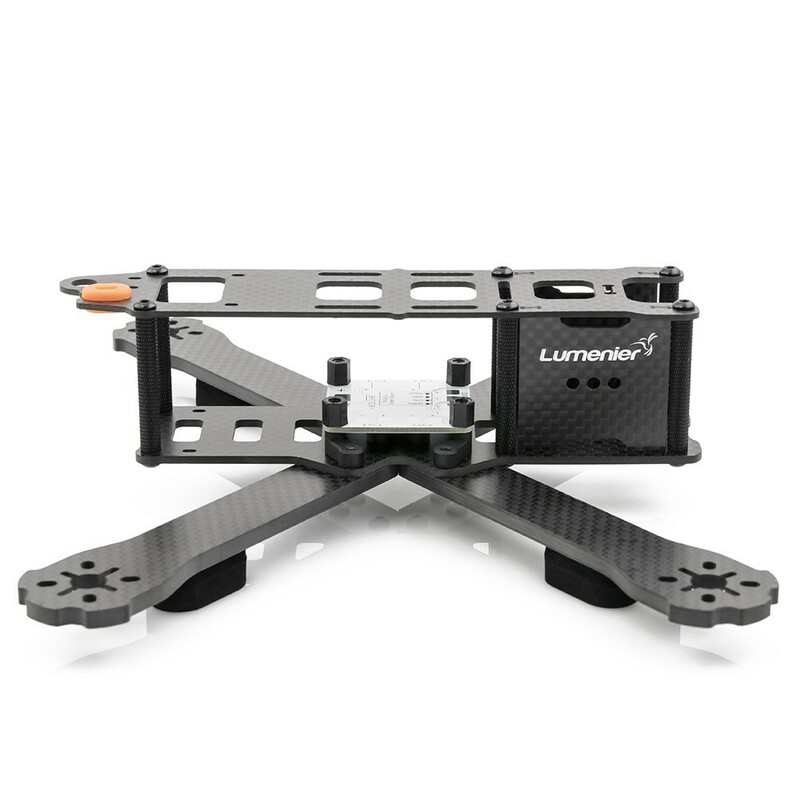 The Lumenier QAV-R has a strong carbon fiber bottom plate, thick 2mm top plate and 4mm thick removable arms, giving you the best of both durability and performance. 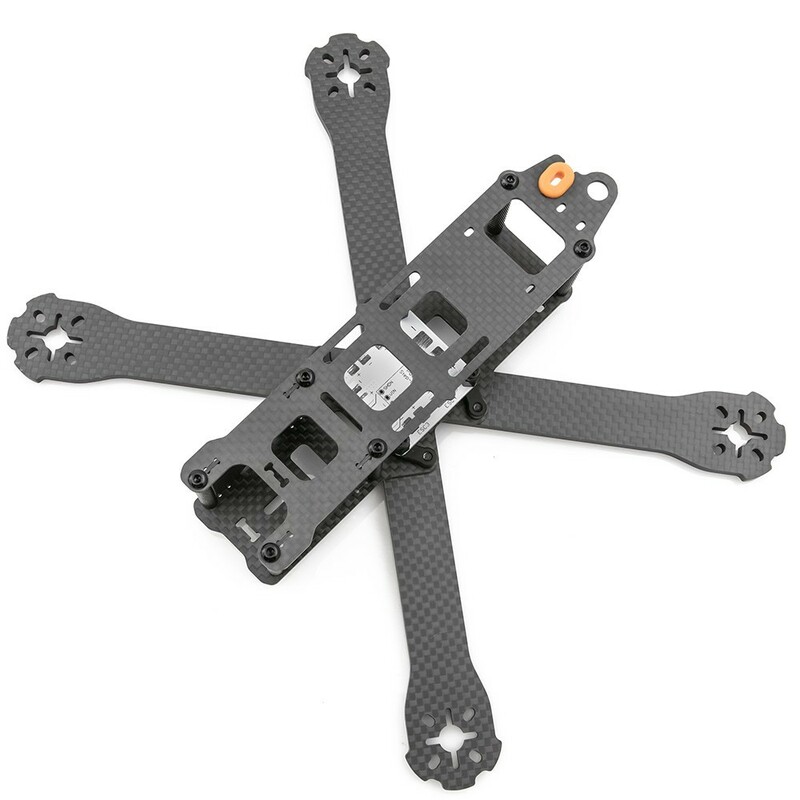 The Lumenier's QAV-R brand comprises of a number of highly specialised components for the FPV Drone Racer. 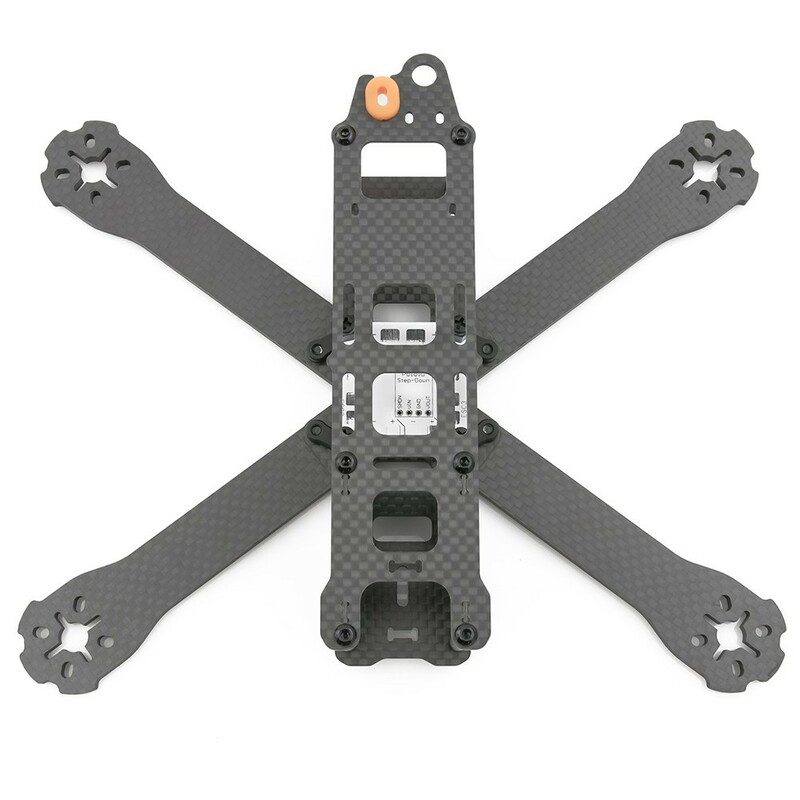 Included with the Lumenier QAV-R FPV racing quadcopter 4" airframe kit is the popular Lumenier 4Power power distribution board, a XT60 pig-tail, and the silicone grommet holding method for the pig-tail, first introduced in the QAV210 Charpu and QAV180. 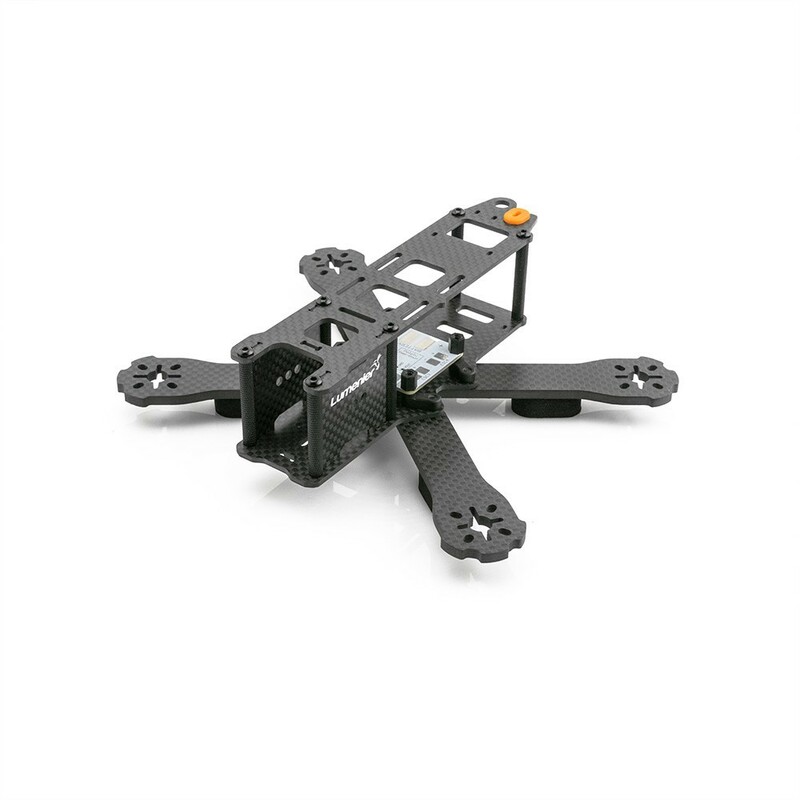 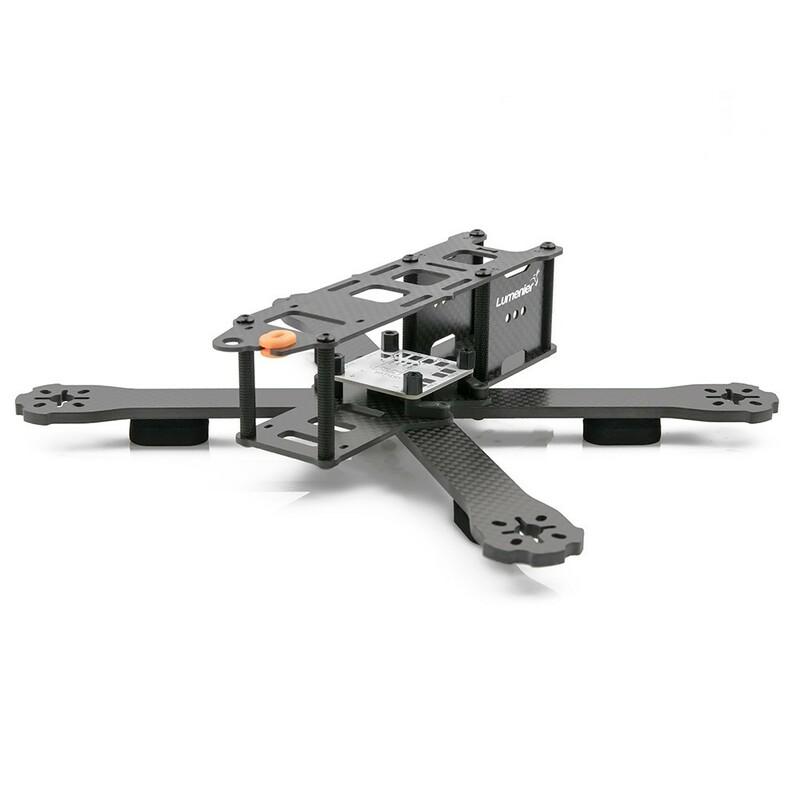 Like the QAV210/180, the QAV-R kit enables mounting of small FPV camers in a fully encased assembly which protects the FPV camera during crashes, and enables the pilot to point the FPV camera at a wide variety of angles for optimum speed. 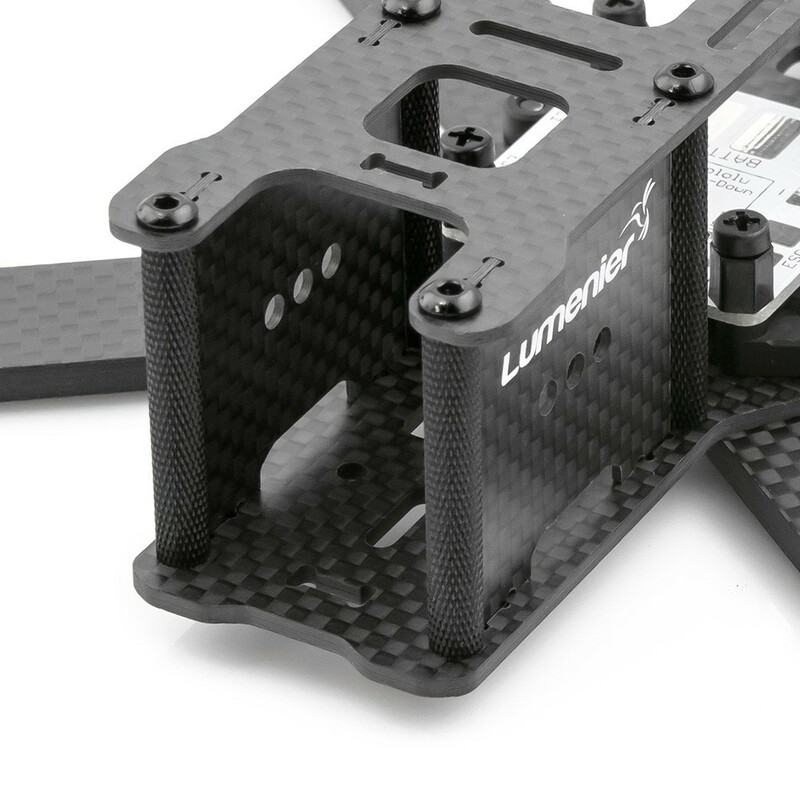 The new Lumenier Neoprene Landing Pads are also included, these provide a simple, light-weight and crash-proof landing gear option which also soften the airframe during touch downs.